If you’re like 80% of people, you probably used Google the last time you needed to search for something online. Google offers so many apps and services that it has become almost irreplaceable. But with each of those tools tracking your every move, you're giving up more control of your life than ever before. 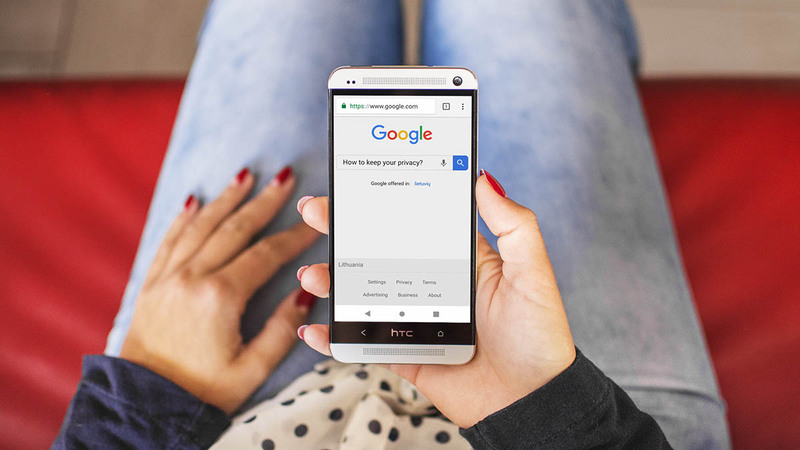 You can replace Google's signature search engine with a truly private search engine, and there are plenty of alternatives to choose from. Popular search engines like Google, Yahoo and Bing collect a lot of data about you – your IP address, user agent, a unique identifier (stored in browser cookies), and your search terms. 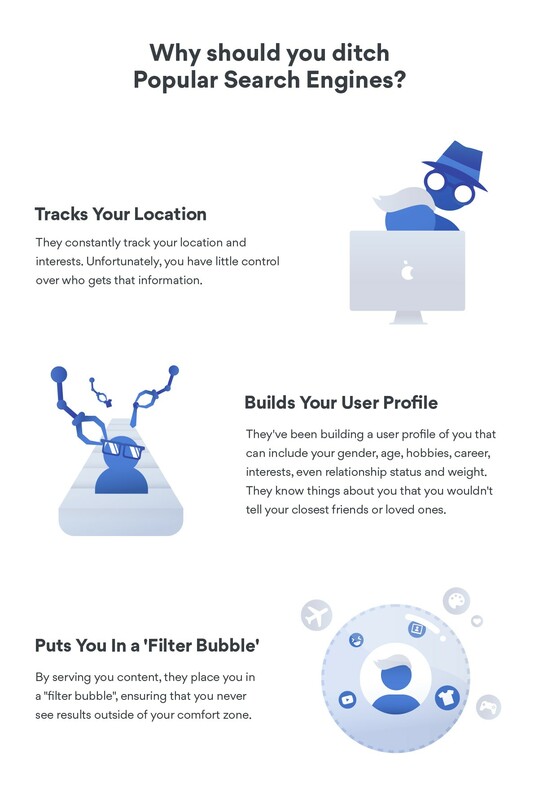 It helps these companies to understand your ‘user behavior’, serve you targeted ads and even track you. In fact, EU GDPR laws and regulations identify metadata and your IP address as personally identifiable. To be GDPR compliant, these companies would either have to let you not disclose this digital data or be transparent about its collection. To see what data is collected about you (and possibly to get rid of it), you will have to dig pretty deep. In most cases, you can’t even be 100% sure that they’ll actually delete it. If you’ve ever looked for a private search engine, you probably came across DuckDuckGo. This search engine is a popular choice, and it serves around 10 million searches a day. Its results are generated from over 400 sources including Wikipedia, Bing, Yandex, and Yahoo. DuckDuckGo offers extra features such as !bang, which allows users to search other websites such as Amazon, Wikipedia or Yahoo directly. Simply type an exclamation mark in front of your query. You can also install the DuckDuckGo extension on Chrome and see how ‘private’ the websites you visit actually are. However, this might not be entirely true. The company does keep the record of your searches, but they are not tied to your IP address or your unique user agent. Consider whether searching for anything related to your personal information such as your full name, social security number or your address might cause problems. The company also has a close partnership with Yahoo, Amazon, and eBay. This means that, similarly to Google and other search engines, you will still see ads at the top of your searches. This Netherlands-based search engine is probably the best alternative to Google. It uses Google search results without logging any user data, nor does it share anything with third parties. StartPage offers advanced filtering option which you can use to look up images and videos too. It’s also available as a Chrome and Firefox extension. Proxy server that hides your IP address and your location so your browsing is truly private. This France-based search engine has higher privacy measures than its U.S. competitors because it has to meet European data and privacy laws. You can be certain that it doesn’t record any user information non-consensually and has no data to use for advertising. 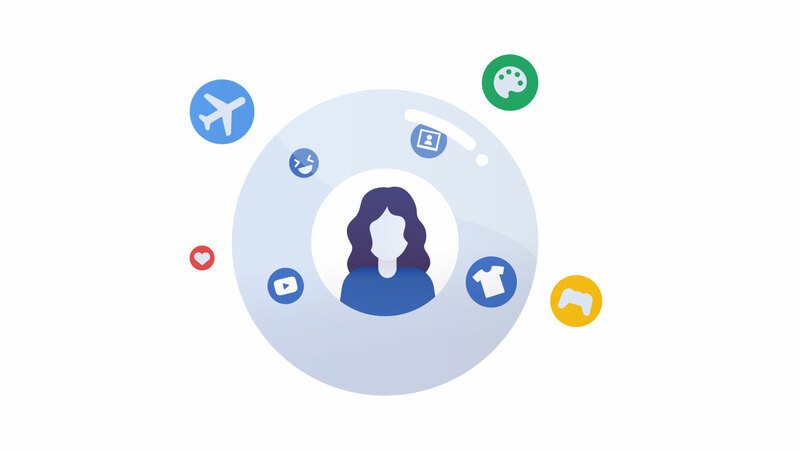 Qwant has also promised to keep its users from getting stuck in the ‘filter bubble,’ which is when users get search results based on their behavioral profiles and never see information contradicting their views. It’s also a user-friendly engine, that categorizes your search results by “Web,” “News,” and “Social media.” Its homepage includes news, trending people, events, and other interesting stories. To make browsing easier, Qwant also introduced a similar feature to DuckDuckGo’s !bang. Its users can type ‘&’ or ‘!’ followed by the name of their favorite website. It’ll then search only that website for the best results. SearchEncrypt uses local encryption with Perfect Forward Secrecy (PFS). This means that if your private key gets compromised, your session key stays safe and so does your data. This search engine retrieves results from a network of search partners and deletes your search terms once you are done browsing. SearchEncrypt offers better default privacy than the more popular DuckDuckGo. You can also use SearchEncrypt to search for news, find maps, or browse for privacy-friendly videos (you can watch them directly on the search engine with no annoying ads). It is available as Google Chrome extension, too. If you are looking for a fast and reliable search engine, Gibiru is an excellent choice too. It’s an encrypted search engine that uses Google’s algorithm to provide you with search results swiftly and minus all the tracking. It’s what Google was before Google ads. This secure search engine is perfect for those who want their information structurized. Looking for dogs? You’ll see your search results categorized as dog training, dog breeds, dog photos, etc. You can then filter them and flag results that are irrelevant to your search. No customized ads either. Unlike some other search engines, Yippy users can choose to search for specific content like images, news, jobs or blogs. All of the search engines mentioned above are great if you are concerned about your privacy. However, some might be a little bit more private than others (those in Europe will comply with stricter data regulation laws than in the U.S.), some might be more user-friendly, and some might have extra features that you can’t go without. The next time you search for something online – try one of these private search engines instead. For more tips on cybersecurity, subscribe to our monthly blog newsletter by clicking the button below.